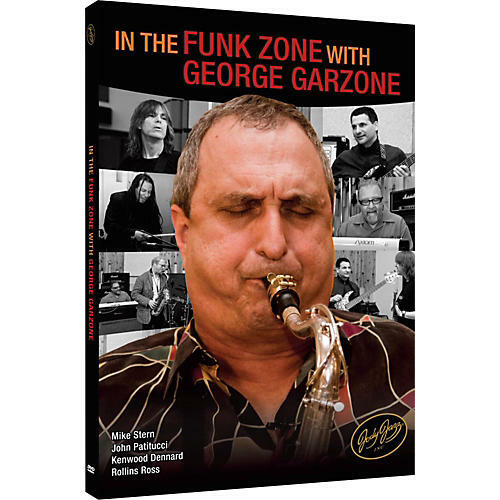 In George's own words from the DVD "The main focuses of today's DVD is gonna be talking about the world of playing in time and even eighth notes, working on a solid structure when you improvise." Performances - We let the tape roll and the best musicians in the world had a ball. Everything is first take, unrehearsed joy. Interviews - Hear these legendary musicians' thoughts on music, life and "the groove". This DVD was filmed and recorded with a three camera shoot live at Systems Two in NYC, one of the finest studios anywhere. There was no overdubbing or separating of the musicians. What you see on the video is exactly how the music was played in order to capture the spontaneity and joy of the performances.